It has been a bitter-sweet month for solar system explorers. As a teenager and a space-geek, I had a poster of this iconic montage of montage of Saturn's moons, composed from images taken by the two Voyager probes as they rushed past the ringed planet. This week on September 15, the Cassini spacecraft – the most recent visitor human beings have sent to Saturn – will meet a far more emphatic demise. Launched 20 years ago, Cassini arrived at Saturn in 2004 and took up orbit around the giant planet, making hundreds of loops through its retinue of moons and skimming the iconic rings. It's about to run out of the propellant needed for manoeuvring; theoretically it might circle Saturn forever, but we could no longer steer it. So, as I write this, Cassini has climbed away from Saturn for the final time to make a flyby of Titan, Saturn's largest moon, which has nudged it into a collision course with the giant planet. Cassini's spectacular finale is, in part, a tribute to its success. All spacecraft carry stowaways: bacterial spores which can, remarkably, remain viable in the vacuum of space. And one of Cassini's many discoveries was that three of Saturn's moons appear to have oceans of water beneath their solid crusts. 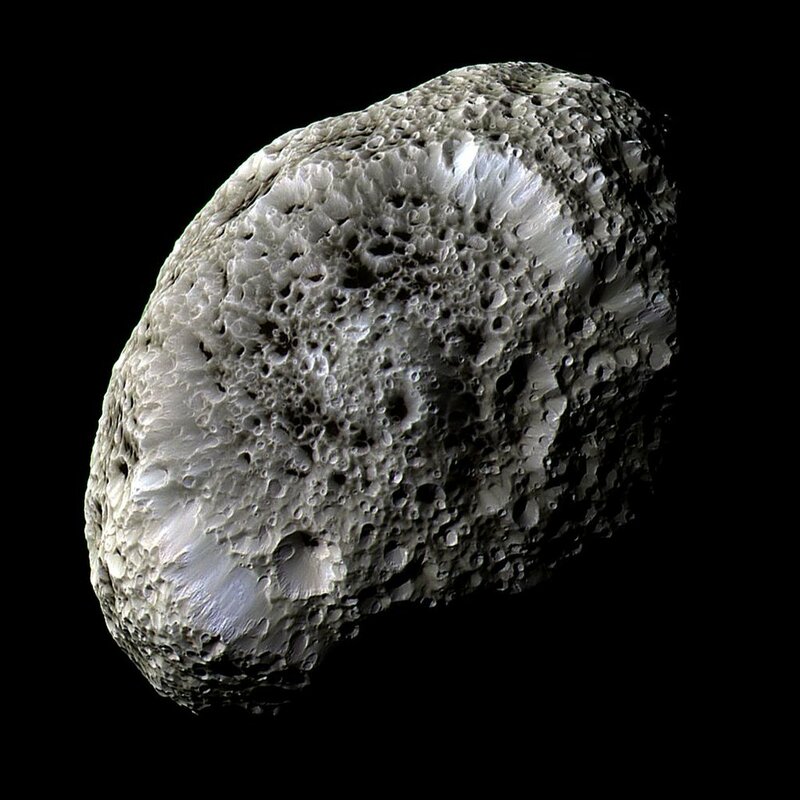 Leaving the spacecraft to wander unguided around the Saturnian system would risk a collision with one of these moons. So, rather than let its microbial hitchhikers disembark onto a pristine world, Cassini will not "go gentle into the good night" as its propellant runs low but has been steered towards a fiery demise. Geysers of warm water from the sub-surface oceans of Enceladus. If cosmologists were architects, I supect most of us would be austere modernists, whereas planetary scientists might prefer rococo delights adorned with complicated facades and gratuitous flourishes. Saturn's moon Mimas, with the impact crater Herschel. NASA has an undoubted ability to sell a story, and it has been making the most of the anthropomorphic appeal of this brave little $3 billion, 5 ton, plutonium-powered spacecraft on its two-decade mission. But the hype is not misplaced: Saturn has a key place in the evolving human understanding of the cosmos. "Childlike wonder" is both a cliché and the literal truth when we speak of the "space". The most distant planet easily visible to the naked eye, Saturn once marked the apparent edge of our solar system. Its rings are visible through even the smallest of telescopes, and seeing them this way still takes my breath away. Cassini has shown us Saturn with its rings and its moons up close and personal, with astonishing clarity and precision. The spacecraft and the team of scientists responsible for it have written themselves into the history books. Beyond revealing the universe to us, space exploration exposes our own small place in the big picture. Saturn's rings, backlit by the distant sun, dominate what may be the most haunting image returned by Cassini. 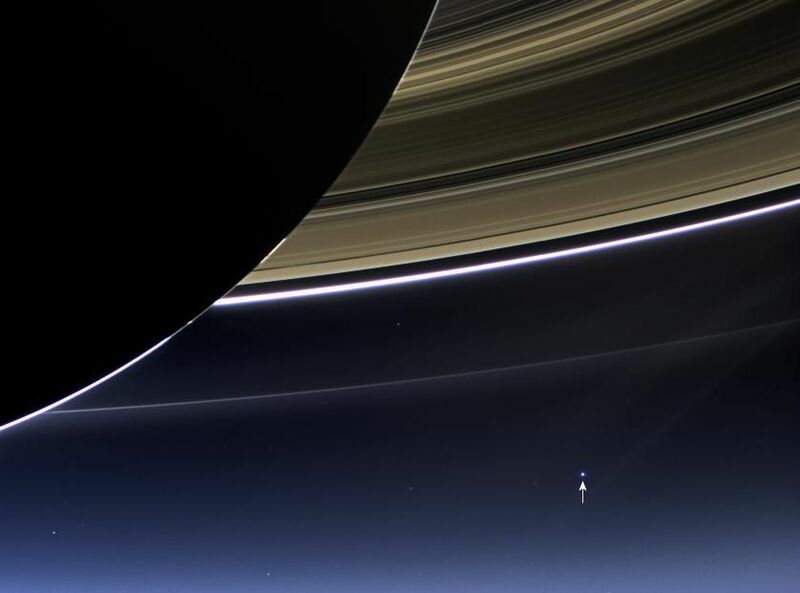 After taking in the planet's dark bulk and golden rings, our eye drifts to the pale blue dot in the lower right hand corner of the frame, and the image's full weight is revealed: it is a lovely, lonely, long-distance portrait of the Earth and of humanity itself. CODA: All images courtesy of NASA, JPL and/or the ESA. The header image is from a visualisation of Cassini's final plunge into Saturn's atmosphere. 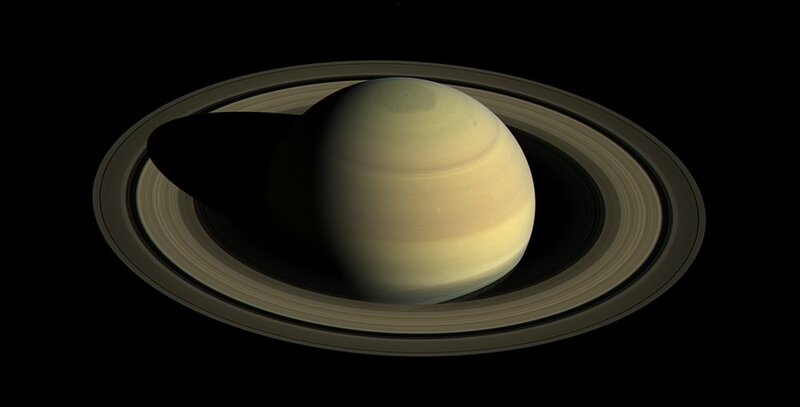 As a physicist, Saturn always stuns me with the complex orbital dynamics of its moons, the chaotically braided and filigreed rings, and its astonishing atmospheric dynamics. Truly, there is something here for everyone. A hexagon storm at Saturn's north pole. Fluid dynamics at its best. Braided structure in the rings. The surface of Titan, from the Huygens lander.